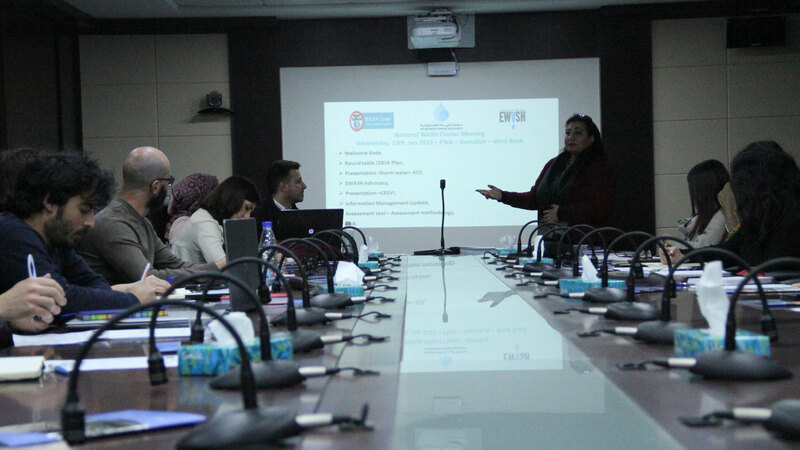 Ramallah: Within a series of the periodical meetings for the NGOs working in the water sector, the Palestinian Water Authority held the first meeting of the year 2019, to discuss and coordinate activities and interventions carried out by these institutions, where during the meeting were discussed the development plan for the year 2019 and the works being performed. As CESWC foundation has provided a presentation on the experience of providing communities with a number of types of filters to treat the drinking water pollution and improve its quality. As well as, Action against Hunger Foundation made a presentation on the study that was done in Gaza regarding the flood mitigation study, as well as monitoring the latest developments regarding the institutional information system.